NORTH CAROLINA -- A woman who stole a seven-week-old puppy from an animal shelter is being looked for by the Rowan County Sheriff’s Office. According to police, a woman around age late 40s to early 50s came to look at a lab mix puppy at the Rowan County Animal Shelter Tuesday. A shelter attendant brought the puppy out to the woman and then left to help another person at the shelter. According to the attendant, people at the shelter later said the woman left with the puppy. Stealing a dog is considered to be a felony charge. The woman was driving a burgundy newer model Toyota Camry. Later, the attendant said people in the shelter said the woman took the puppy and left in a newer model burgundy Toyota Camry. 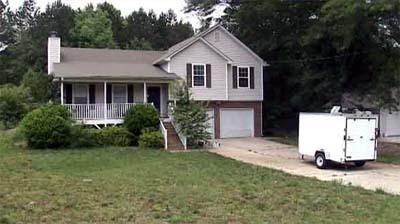 Police ask anyone with information on the crime to call the Rowan County Sheriff’s Office at 704-216-8700. UPDATE: The woman has been identified as Cindy Wilson and was charged. 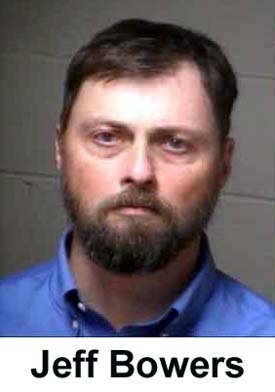 ILLINOIS -- A Georgia attorney charged in connection with the deaths of his four dogs is calling the incident a “horrible loss” and denies he left his dogs in a trailer without water and ventilation. Attorney Jeff Bowers issued a statement Friday evening to FOX 5 after he turned himself in Thursday morning on a count of cruelty to animals. In the statement, Bowers said, “Last Saturday evening I brought our dogs from our family farm to our property in Dallas to stay temporarily overnight in a secure trailer. 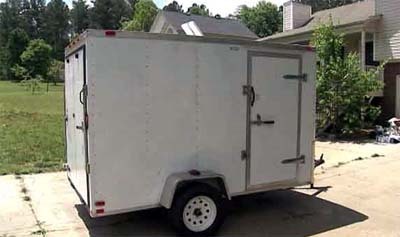 Contrary to some media reports, the trailer had water and ventilation. I returned the next day to move our dogs from the trailer. 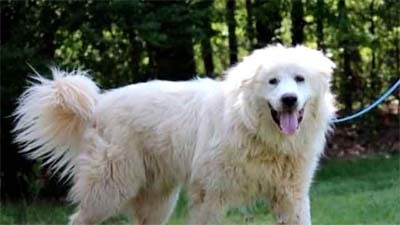 The real estate lawyer is accused of leaving his nine Great Pyrenees dogs crammed in a trailer with no window or water for about 17 hours. Deputies said when Bowers returned Sunday, a neighbor called 911. 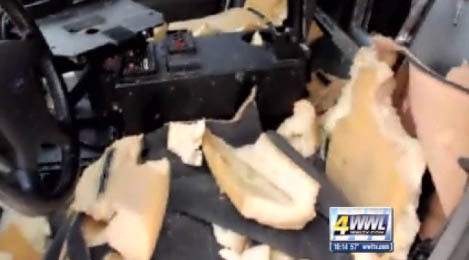 "A resident said a man was pulling dead dogs from an enclosed trailer," Corporal Ashley Henson told FOX 5's Aungelique Proctor. Deputies said three of the dogs were dead on the scene. That revelation led to a criminal investigation. They said the others were critical and were rushed to a local veterinarian. A fourth dog died at the vet's office. 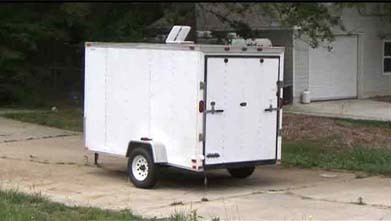 "The dogs were inside the trailer from Saturday evening until Sunday afternoon. As you can imagine it was pretty warm on those days, so it was a pretty bad situation for those dogs," Corporal Henson said. Bowers still has ownership of the 5 surviving dogs. "Until we get some type of order from a judge indicating that we need to take those dogs from Mr. Bowers, then they will remain in his possession," Henson explained. 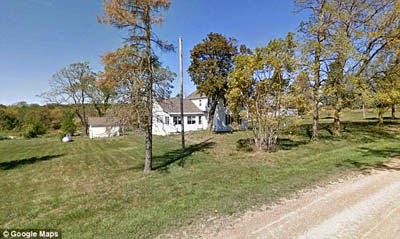 Neighbors, who didn't want to talk on-camera, said the misdemeanor charge is a slap on the wrist for the well connected attorney. FLORIDA -- A Hialeah cop who killed two police dogs in Davie by leaving them in the car all day is facing the wrath of a dog-loving public that is appalled that somebody, especially a cop, could commit such a heinous crime. 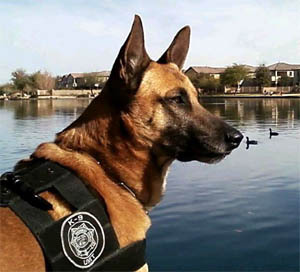 However, Officer Nelson Enriquez won't face charges of murdering a police officer because, contrary to popular belief, police dogs aren't actually considered police officers. 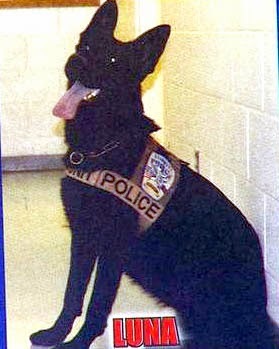 Any person who intentionally and knowingly, without lawful cause or justification, causes great bodily harm, permanent disability, or death to, or uses a deadly weapon upon, a police dog, fire dog, SAR dog, or police horse commits a felony of the third degree, punishable as provided in s. 775.082, s. 775.083, or s. 775.084. Unless Davie Police want to charge Enriquez with two counts or find other evidence of a different crime, it's likely that the Hialeah cop, who has been suspended with pay pending the investigation, will face a maximum of five years in prison and a $10,000 fine. In 2007, Miami-Dade police Sgt. 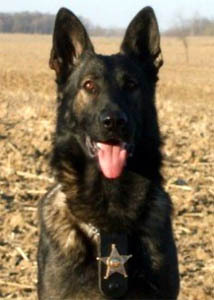 Allen Cockfield was charged with animal cruelty after prosecutors determined a kick he administered to his German shepherd Duke during a training session was a fatal blow. Cockfield was later acquitted at trail. 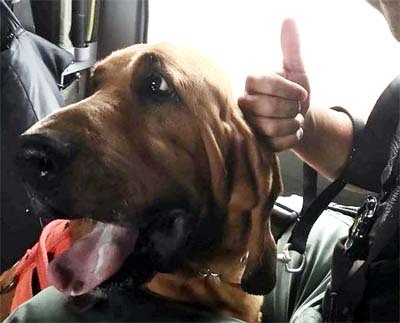 Then in March 2008, Miami officer Rondal Brown was arrested and charged with animal cruelty after his bloodhound Dynasty starved to death... Dynasty was discovered starving and emaciated. Brown later left the police department and agreed to serve probation on animal cruelty charges. 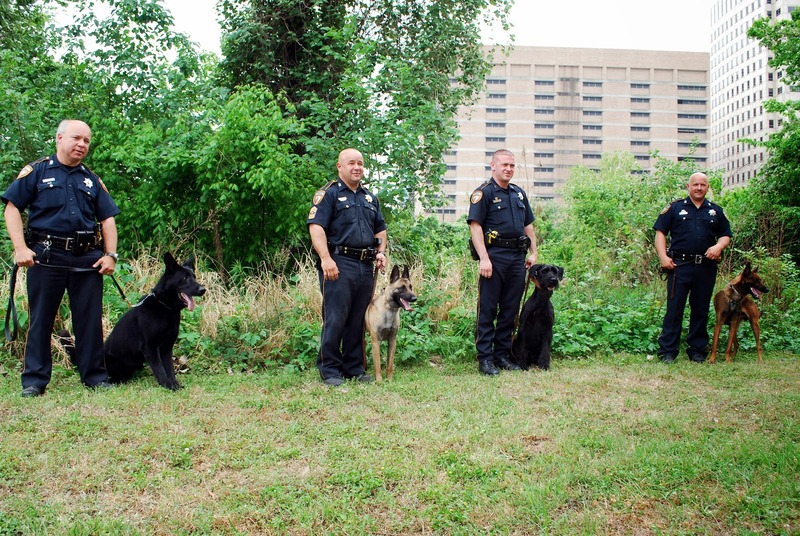 Things tend to work out differently for civilians charged with harming canine officers. Just last year in Palm Beach County, 17-year-old Ivins Rosier was sentenced to 23 years in prison for shooting a retired canine officer after breaking into a state highway patrolman's home. Nobody was at the home during the break-in. Although Rosier was 16 at the time of the crime, state attorney Dave Aronberg charged him as an adult and sought 30 years on all counts for "shooting into an occupied dwelling," armed burglary, and animal cruelty. 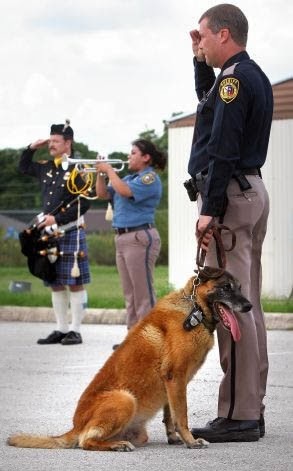 After the guilty verdict, the Palm Beach Sheriff's Office held an elaborate memorial service for the retired canine, complete with a 12-gun salute and speeches from the county's top brass, including Aronberg, who praised his staff for seeking three decades in prison for a juvenile. 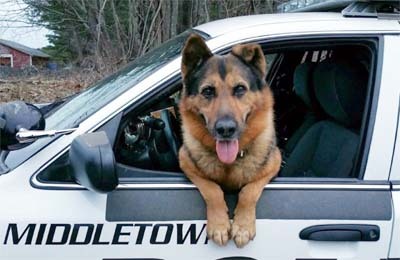 Meanwhile, news stories abound of people getting hefty sentences for killing canine cops — but each time, as in the Rosier case, the sentences were enhanced due to other factors. 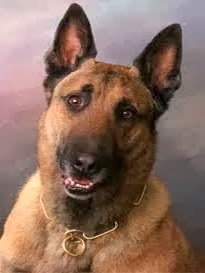 In 2009, a diagnosed schizophrenic from Washington got a life sentence for killing a canine cop that was running toward him while he hid in a gulch. It was the man's third strike, which enabled the life sentence. 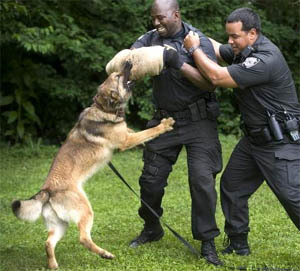 In 2014, a South Carolina man fleeing from police after committing an armed robbery was attacked by a police dog. The man shot the dog several times. When he was eventually caught, each bullet he fired he fired was considered an attempted murder charge, in addition to the charge of killing the dog. He got 35 years. 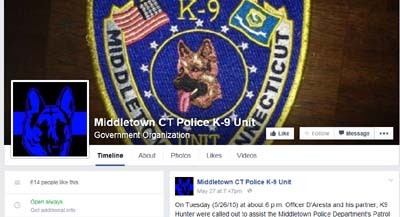 Meanwhile, a Facebook page documents news stories of police who kill dogs. That page gets updated often. 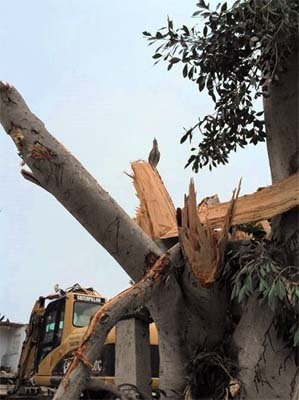 CALIFORNIA -- Local and state authorities are investigating a contractor that residents say tore down a tree full of legally protected birds Thursday afternoon in a Newport Beach neighborhood. Neighbors in Balboa Peninsula Point said they stood on the sidewalk along East Balboa Boulevard in disbelief as workers knocked down a large tree that was home to two types of herons. Authorities declined to release the name of the company, citing an "active criminal investigation." 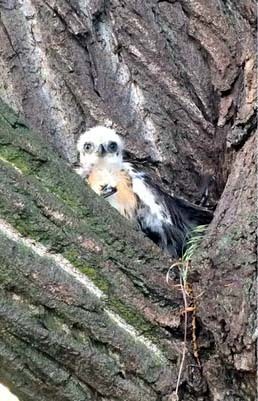 Residents said the distressed birds circled above the tree, which sat on the site of a demolished house in the 1500 block, as their nests and chicks fell to the ground. The site had been undergoing construction for several weeks, neighbors said. All work has been halted. Officials said the tree was on private property and therefore could be torn down without a permit. However, federal law prohibits anyone from disturbing or removing active birds' nests from trees. Newport Beach animal-control officials and the California Department of Fish and Wildlife are investigating the crew for a possible misdemeanor violation of the Migratory Bird Treaty Act of 1918, which protects birds throughout the United States, said animal-control officer Nick Ott. Animal-control officials took 10 chicks to the Wetlands & Wildlife Care Center in Huntington Beach on Thursday afternoon. Two of the chicks were dead on arrival, Ott said. The tree was largely overgrown and known to provide an annual nesting spot for snowy egrets, a small white heron and black-crowned night herons, neighbors said. 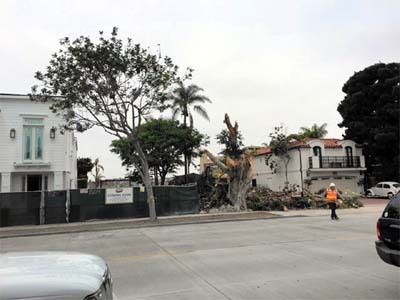 One resident called Newport Beach police around 3:30 p.m. Thursday when workers continued to demolish the tree despite neighbors' protests, resident Nicole Snell Deermount said. "They kept tearing down the tree even though all these birds were freaking out all over the place," Deermount said. "Birds were flying everywhere." Deermount said her husband, Adam, was walking the family dog Friday morning when he noticed a chick struggling in the branches piled on the ground. He called animal control, which took the bird to the rescue center. "We suspect there were a lot more birds up there," Ott said. After the investigation is complete, the agencies will submit their findings to the Orange County district attorney's office, Ott said. Prosecutors will decide whether to file charges. If charges are filed, those involved could face six months to a year in jail and be ordered to pay fines if convicted. The case also could be prosecuted at the federal level, officials said. 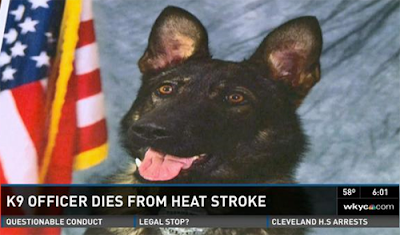 OHIO -- On Friday morning, a funeral for a special therapy dog was held at the Schoedinger Midtown Chapel in Columbus, Ohio, reported the Columbus Dispatch. 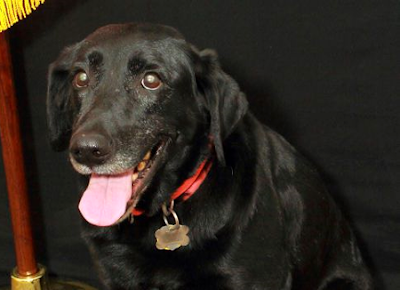 The 13-year-old Labrador retriever, named "Tara," passed away on Tuesday from complications of laryngeal paralysis, a condition which causes dogs to suffocate. The intuitive dog spent the last several years working as a Grief Therapy Dog at Schoedinger Funeral and Cremation Service. According to those who watched her work, Tara knew who was in need of her comforting attention. Tara belonged to Roberta Knauf, who noted that Tara "loved to work." Knauf said, "she absolutely loved putting on that vest and getting up every morning and going to work." Tears were shed and dogs whined as Tara was wheeled into the chapel. Among her doggie visitors were Dexter the Doberman who sported a gray and white bow tie, and Willow the Labradoodle who wore a purple ribbon. 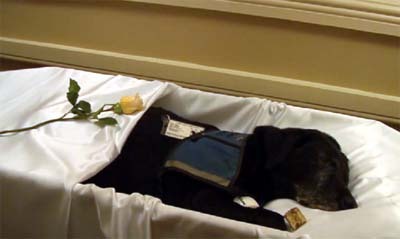 The pooches approached Tara’s casket to bid her farewell. A basket filled with tennis balls was placed at the chapel entrance. The basket had a sign that said, “Tara loved her balls. In memory of her, please take one home.” Nearby, there was also a basket of bone-shaped dog treats and Tara’s collar and leash. Tara provided peace and solace until her last breath. “At the very last moment, I remember her laying her head on my lap and looking at me as if she was comforting me,” she said. 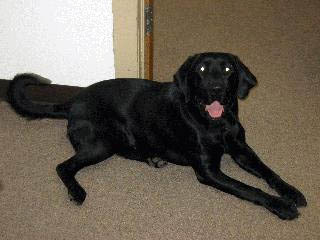 Knauf also said that Tara will be cremated, and a part of her remains will be inurned at Canine Partners. The remainder will be mixed with the ashes of her sister, Nika. 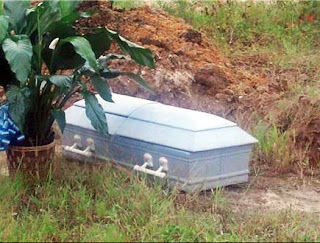 Their combined ashes will be used to plant a tree in Hermitage. Click here to read Tara's obituary. 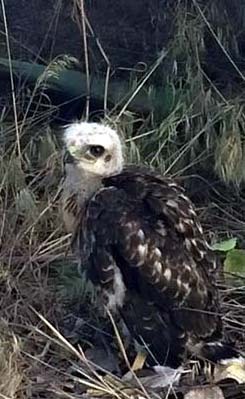 IDAHO -- A Caldwell police officer was at the right place at the right time Friday night, as he rescued a baby hawk near a busy road. Officer Matt Hodnett, a 15-year veteran with the Caldwell Police Department, says he was driving on the 1500 block of Ustick Road in Caldwell when he saw a crowd of people. He pulled over and found that the crowd was gathered near a baby hawk that had fallen out of a nest in front of a home. Officer Hodnett tells KTVB one person was on the phone with Idaho Fish & Game at the time, hoping they'd be able to send someone to rescue the animal. But, since they were told Fish & Game's response person was nowhere near the area, the phone was handed to Officer Hodnett. Officer Hodnett says the person on the phone told him to throw a t-shirt over the baby hawk, to avoid being scratched. He was then able to put the hawk back in the tree. Hodnett says he was told baby hawks have fallen out of the same tree in the past, though this is the first hawk rescue he was able to help with. TEXAS --A Longview woman was arrested after police say her pit bull dogs attacked and injured four people sending them to the hospital for treatment. 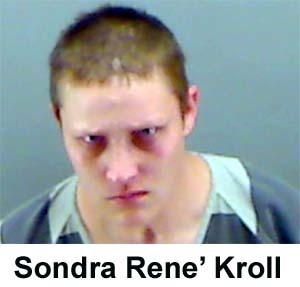 Sondra Rene’ Kroll, 29, of Longview was jailed Friday on a charge of attack by dog causing serious bodily injury. Her bond was set at $10,000. Police said officers worked with Longview Animal Control officers to investigate four reported separate cases in which Kroll’s pit bulls attacked people in the area of the 100 block of White City Street. In each of the cases, the victims sought treatment at a hospital. In one instance, a victim required emergency surgery. 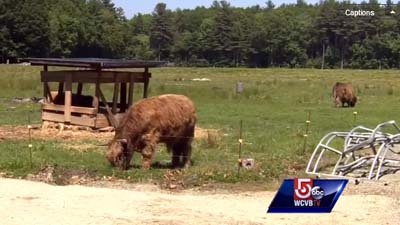 NEW HAMPSHIRE -- A New Hampshire man was fatally injured last weekend in a confrontation with a bull on his farm. 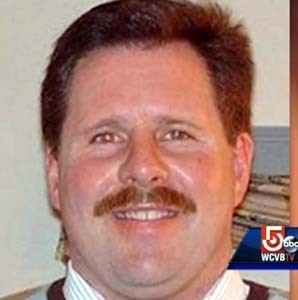 Christopher G. Merrill, 51, was found dead on his Hampton Falls farm on Sunday, according to the Union Leader. 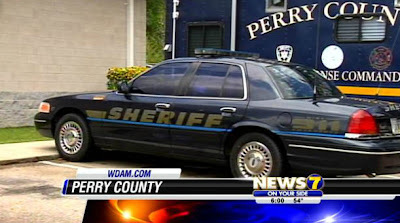 Police went to the property after Merrill's family reported him missing. “He died on the land that he loved, and I think it was mean to be. Maybe God said, ‘You know what? This is how you loved and this is how you died,' and that’s it,” said his wife, Elizabeth Merrill. "Animals are funny, and a couple of days before the animal was making funny noises, it could have been in heat." 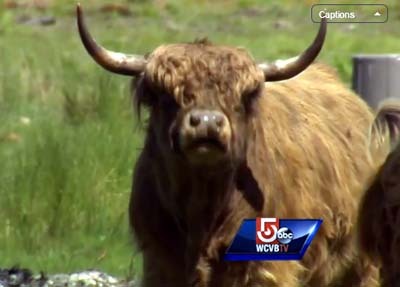 She said the family has five bulls on the property, and her husband intended to plant a Christmas tree farm. “(The bulls) would keep the brush down, and they were going to be part of that whole vision,” she said. In his obituary, Merrill was described as a “true outdoorsman” who enjoyed working on his farm, snowmobiling, hunting and fishing. Merrill and his wife have three children. "In a couple of weeks, we would have been married 24 years. I feel blessed that I had him in my life," she said. 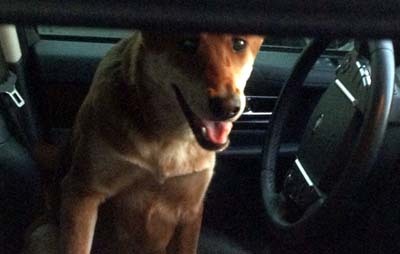 CALIFORNIA -- Bakersfield Police responded to a call of a dog left in a car around 8:30 p.m Friday evening. BPD says the owner of the dog left the animal in the car for more than an hour, before patrons of the Padre Hotel called police to report the activity. Temperatures reached nearly 100 degrees on Friday in Bakersfield. 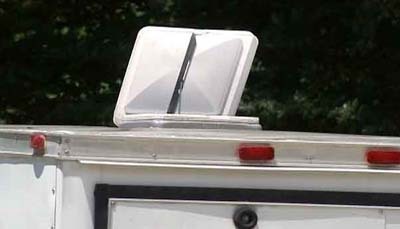 According to online resources on a 90-degree day, the interior temperature of a car can reach as high as 160 degrees in less than 10 minutes. 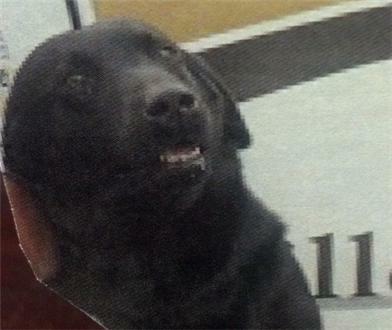 Bakersfield Police tell 23 ABC that the dog has been taken to a shelter, and the owner was cited. CONNECTICUT -- On Tuesday (5/26/15) at about 6 p.m. 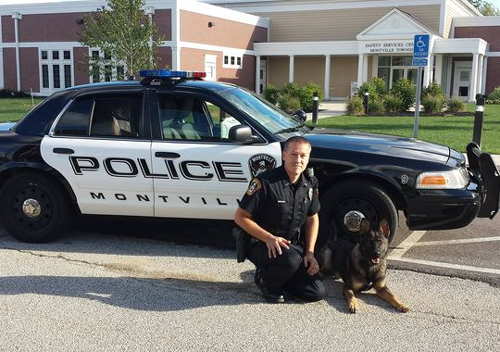 Officer D'Aresta and his partner, K9 Hunter were called out to assist the Middletown Police Department's Patrol Division with locating a missing elderly woman. This woman suffered from dementia and had wandered from her home about 45 minutes earlier. Police and neighbors had already conducted an area canvas with negative results. Upon arrival, K9 Hunter was presented with a shirt belonging to the elderly missing woman. Using the scent from that shirt, K9 Hunter tracked to a small stream located down a steep embankment a short distance from the residence. K9 Hunter found the disorientated woman standing in the stream, tangled in some brush. This woman sustained minor cuts and lacerations. She was transported to Middlesex Hospital for treatment. 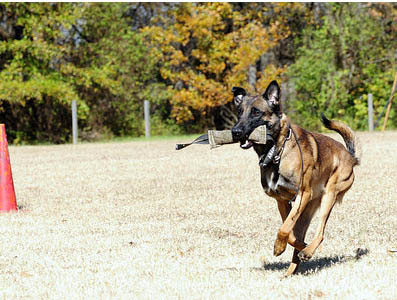 Great job K9 Hunter and great effort to all Officers involved! NEW YORK -- A married Farmingdale couple previously convicted of animal neglect was arrested Thursday for owning animals despite being banned from doing so, acting Nassau County District Attorney Madeline Singas announced. Rose Neira, 34, and Danny Neira, 43, were found guilty of animal neglect for failing to feed and to provide medical care for their pet dog Zach, who was found severely emaciated in 2010, the DA reports. Nassau District Court Judge Tricia Ferrell signed two court orders in February that banned The Neiras from owning, harboring, or having custody or control of any animals for five years. 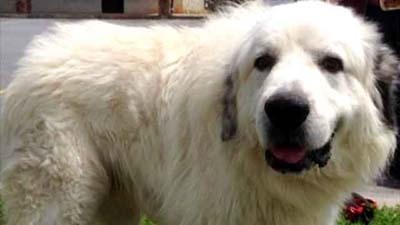 A probation officer discovered that the Neiras were violating their court orders when he saw a large dog running around and barking inside the couple’s home on Sunday, May 21, according to the DA. A DA investigator knocked on their front door the next morning and heard a “dog barking and clawing at the front door from the inside,” the DA reported. The Neiras did not answer the door. 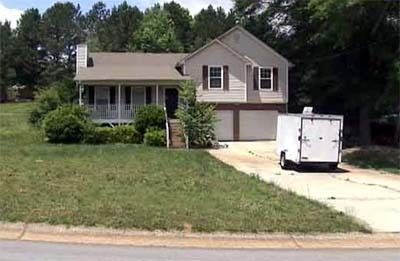 Officers executed a search warrant on the couple’s home on Thursday, May 28. They found a dog, a cockatoo and a tarantula on the main floor of the home and also found two dogs that belonged to a tenant living in the home’s basement, authorities said. The case dates to Nov. 22, 2010, when district attorney investigators and members of the DA’s Animal Crimes Unit went to the Neiras’ home after receiving multiple tips that an animal was being neglected there. Investigators found that Zach, a 2-year-old Great Dane, was “grossly emaciated with protruding ribs and its backbone visible through its skin,” former Nassau County District Attorney Kathleen Rice said. 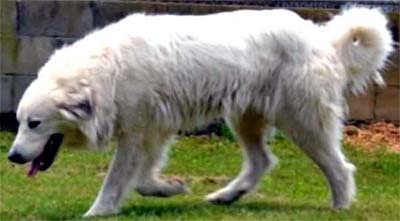 The dog weighed 87 pounds. In comparison, a normal, healthy Great Dane should weigh between 120 and 150 pounds. In addition to the dog’s emaciated appearance, its nails were damaged and overgrown and its ear cavities were caked with dirt and grease. Zack’s multiple health issues forced veterinarians to feed him intravenously, authorities said. 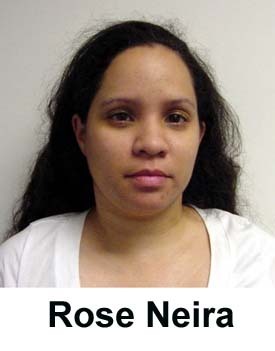 When questioned by investigators, Rose Neira initially claimed that the dog’s condition was due to parasites, but she could not provide the name of a veterinarian for the animal, nor could she produce any medication that was being administered to the animal. She stated that she kept the Great Dane in the kitchen, taking it out only once a night, and that she hadn’t sought veterinary treatment for more than a year. Despite extensive rehabilitative efforts by veterinarians including surgery, Zach died about a month after he was removed from the couple’s home. The husband and wife were charged Thursday with second degree criminal contempt. The Neiras face up to a year in jail if they are convicted. They will next appear in court on Thursday, June 4. 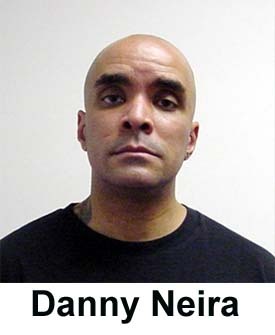 Patch reported in 2012 that Danny Neira is an officer with the New York Police Department, according to the district attorney’s office. ILLINOIS -- The owner of a pet care service has been charged with animal cruelty after a security camera caught him kicking a beagle puppy in the elevator of a West Loop apartment building, police said..
Alone At Home Pet Care owner, Jon Steinholt, caught abusing a terrified puppy. How many other animals suffered when trusting owners left him with them?? CALIFORNIA -- Two women who allegedly stole a poodle from a man at his Echo Park home while posing as animal cruelty officers pleaded not guilty Friday to burglary and other charges. Jenny Smiley, 51, and Shannah Tenner, 53, are charged with one felony count each of first-degree burglary and extortion and one misdemeanor count each of grand theft of a dog and unlawful use of a badge. The two -- wearing green shirts with badges -- allegedly went to the man’s home April 14 and told him that he would be deported if he did not turn over the dog, according to prosecutors. Los Angeles police said last month that two women representing themselves as Los Angeles Police Department Animal Cruelty Task Force officers told him there had been multiple complaints about a dog at the residence being neglected. 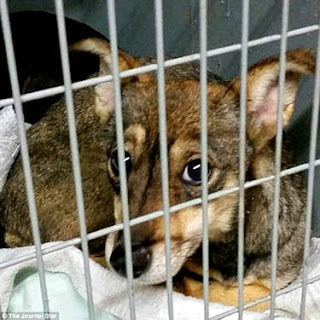 The pair allegedly gave the man a flier that contained accurate contact information for the Los Angeles Police Department’s Animal Cruelty Task Force and said they were there to confiscate the dog, which had not been abused or neglected. After the women left with the dog, the man called the task force number and learned that the unit was not involved in his pet being taken, police said. The canine was later recovered. Smiley and Tenner were arrested earlier this month and are free on bail. They are due back in a downtown Los Angeles courtroom June 10, when a date is scheduled to be set for a hearing to determine if there is enough evidence to require them to stand trial. If convicted as charged, the two could face up to eight years in state prison, according to the District Attorney’s Office. 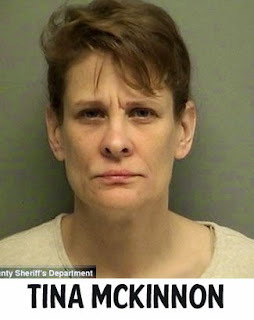 ILLINOIS -- Tina McKinnon reached out to Stephenson County authorities, trying to rehome approximately 30 of her nearly 90 dogs, before they charged her with animal cruelty. The 45-year-old rural Freeport woman just seemed overwhelmed to Stephenson County Animal Warden Kristin Laue. Laue said the scene she found March 16 still staggers her: There were 84 live dogs and at least 29 dead cats and 36 dead dogs on McKinnon’s rental property northwest of Freeport near Eleroy. She had brought two freezers full of dead animals and a rental truck with live dogs in kennels when she moved to Stephenson County from Texas in December, authorities said. Local authorities say they haven't seen an animal hoarding case the size of McKinnon's in recent memory, but nationwide, animal hoarding is not scarce. Each year, about 3,500 animal hoarders come to authorities' attention, and about 80 percent of them have diseased, dying or dead animals, according to the Anxiety and Depression Association of America. There's no clear profile for people who hoard, but without mental health treatment, hoarders are doomed to relapse, experts say. Hoarding of anything — whether it be newspapers, clothing or cats — is exaggerated collecting that can lead to a dangerous lifestyle, Bell said. “We know that 92 percent of individuals who demonstrate hoarding behaviors are going to have some form of mental health diagnosis (at) some point of their lives,” said Elspeth Bell, a licensed psychologist and hoarding expert with the Anxiety and Depression Association of America. “(But) the people who hoard animals tend to be qualitatively different from the individuals who would collect and accumulate inanimate objects. Some underlying mental health problems may include depression, anxiety, trauma and loss. Animal owners may think they’re not deserving of living in a better environment than what they have or they’re not sure how to create a better environment, which begins an intense and gradual process of a hoarding habit spinning out of control. The cure, Bell said, is to put the animal hoarder in contact with the proper resources. In McKinnon's case, her hoarding came to authorities' attention when her landlord heard barking and opened the cracked door to have more than a dozen dogs run out and off the property. 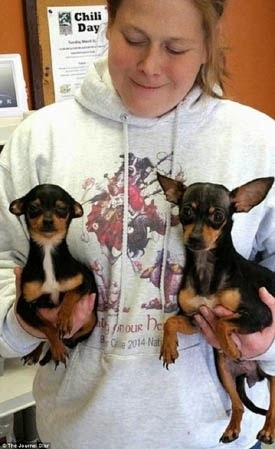 She told authorities she had received some dogs from a humane society in Springfield, Missouri, before moving to the rental property at 1358 N. Heitter Road. Laue expects to testify against McKinnon at her trial, which is scheduled to start July 20, and advocates that she spend time behind bars. This week, McKinnon's attorney, Chief Public Defender Byron Sloan, filed a motion seeking to bar any statements she made to police. Prosecutors responded seeking more details on which statements should be barred and why. A hearing on that matter is scheduled for June 10. 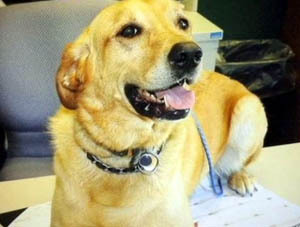 Laue figures McKinnon meant well in the beginning, as the older dogs are spayed and neutered. McKinnon has told Stephenson County authorities that her animals were surviving on 50 pounds of food a day, but Laue said the surviving dogs were going through 100 pounds of food a day when they came under her care. "She did want what’s right for those dogs," Laue said. "I do believe that she meant well in the beginning, and she just got out of control. She just needs help." 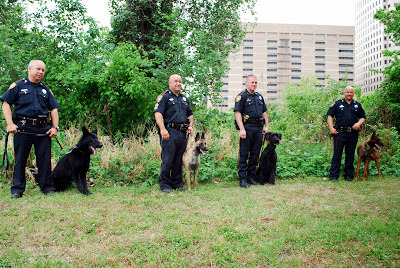 McKinnon’s former dogs, including some puppies born after her arrest, are on their way to finding new homes. Laue said of the 95 dogs she had to place, 33 had found new homes as of Wednesday. Experts say animal hoarders frequently are misguided in thinking they can properly take care of the animals they have or that no one else could do it as well as they can. Dena Gates, general manager of Noah’s Ark Animal Sanctuary in Rockford, said her kennel houses an average of 75 to 100 animals at a time, about the same number of animals McKinnon had. Noah's Ark, though, has several staff members to manage their care. “I couldn’t imagine having all those animals and doing it all by myself,” Gates said. Up to 40 percent of object hoarders hoard animals. 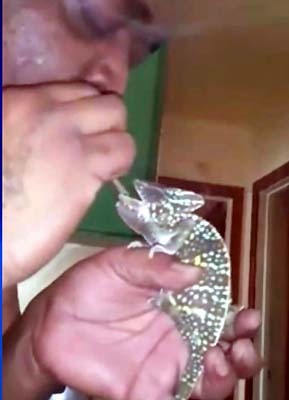 ILLINOIS -- A West Side man whose video of himself smoking marijuana with his pet chameleon went viral and led to a misdemeanor animal cruelty charge was acquitted Wednesday by a Cook County judge who found his behavior immature but not criminal. Bruce Blunt, 40, whose brief trial drew some laughs from spectators, including attorneys, said he sometimes blew smoke into the mouth of his chameleon, Binna, because it seemed to calm the sometimes aggressive reptile. Earlier this year, he posted a video of the two on Facebook that within days far exceeded 500,000 views and, according to trial testimony, triggered a complaint to Chicago authorities from People for the Ethical Treatment of Animals. Chicago police arrested Blunt near his mother's home after conducting brief surveillance to find him over several days, according to trial testimony. "I blew a little smoke on her and it didn't harm her," Blunt said outside the Branch 43 courthouse at 3150 W. Flournoy St. "It calms her down because I see a difference in her mood." "She turns lime green," his fiancee Kellie Williams added. "She's more relaxed." In the video, Blunt holds Binna in his hand and twice blows smoke into her mouth. Each time, the chameleon closes her mouth, appearing to ingest it and then opens her mouth again. Prosecutors said the video proved Blunt had criminally mistreated his pet. "It's just a little guy," said Assistant State's Attorney Mike Bagnowski, speculating what effect the marijuana smoke would have on Blunt's attorney before withdrawing the remark. "He blew smoke not once but twice into its mouth." Attorneys went back into the chambers of Judge Robert Kuzas to play the video for him. After hearing brief closing arguments, Kuzas acquitted Blunt of the misdemeanor animal cruelty charge. Blunt's behavior was "really, really uncalled for and immature" but didn't rise to the level of criminal behavior, said Kuzas, noting the reptile didn't appear to suffer. 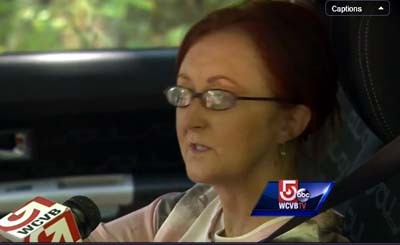 "The chameleon didn't change it's demeanor, it didn't change its color," the judge said. "There's a finding of not guilty." Judge Kuzas is a moron. Stephanie Bell, PETA's cruelty casework director, said in a telephone interview that she was disappointed in the ruling and wished prosecutors had called an expert to testify about the harm marijuana smoke can cause small reptiles. "Forcing any animal to breathe in smoke without their consent or understanding — especially of a mind-altering or psychoactive nature — it's cruelty, and obviously local officials agreed with us," she said. Dr. Susan Horton, a veterinarian and owner of Chicago Exotics Animal Hospital in Skokie, said it's quite common for veterinary clinics to treat birds harmed after their owners breathed marijuana smoke into their faces, perhaps not knowing the effect it has on the much-smaller creatures. It can cause anything from "mild sedation to a full-on seizure," Horton said, adding that her clinic had to euthanize a cockatoo that had been severely brain damaged by marijuana smoke. Horton said pet owners "think it's funny, but it's actually very cruel." Now cleared of wrongdoing, Blunt hopes to get his beloved chameleon back from the city's Animal Care and Control center — both for his sake as well as that of his 10-year-old daughter. 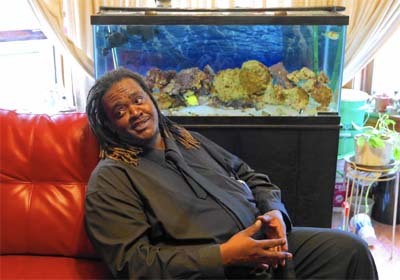 He still has Binna's terrarium in a spare room that also contains two geckos, a 75-gallon saltwater aquarium and a guinea pig. "The (PETA) people, they really did a number on me, calling me a jerk ... and saying I'm abusing animals," Blunt said. "Man, if they only knew. I've never hurt an animal in my life — I take in stray cats and dogs. I love animals, man." Would the judge think it was a crime to force a toddler to breathe in marijuana smoke? Animals and children both need protection from parents/owners who abuse and neglect them. A baby, like a pet, can't talk to say something hurt or scared them. What would this guy do if some grown man blew marijuana smoke into his 10 year-old daughter's face and forced her to breathe it in? Would he think it was funny or would he be outraged?